Primary contributor and primary client contact, leading a small team to steadily evolve the platform over more than 2 years. Defined the structure and flow of the GMO ReportingÂ Platform and associated hosting services. 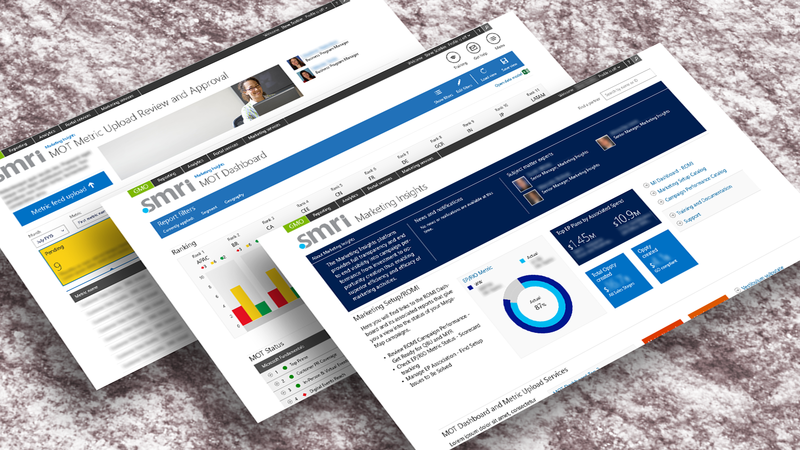 The Microsoft Global Marketing Organization BI platform serves many of the internal sales and marketing teams at Microsoft. It provides hundreds of reports and dashboards, as well as hosting dozens of team and subsidiary sites. Difficult to navigate and overloaded with content, the entire platform was in need of an overhaul. Over the course of 2 years, the site evolved into a truly Modern BI platform. By embracing the principles of Modern design, common tasks and content were consolidated, while superfluous content and graphical elements were stripped away. Combined with a restructuring of the entire platform Information Architecture, the platform now provides a clear path to answering specific business questions, rather than relying on the users to search for specific reports.